Our family culture was wrapped in books this year. We made memories. We forged space and time together. We held fast to our core values. We read a lot of great ones this year. It's hard to narrow our favorites down to a simple list of ten. But, after some not-so-easy family deliberation, a vote, and a couple of re-votes, we've put together a list of our top 10 favorite (chapter book) read alouds. 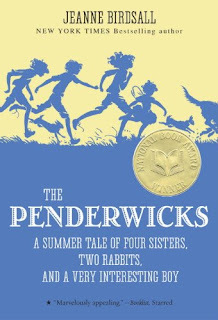 This middle grade classic was a perfect example of life-imitating-art for us. We read this during a very long stretch of below zero temps. We could completely empathize with Laura and her family as they suffered through one blizzard after another. And like all good literature, The Long Winter made us step outside of our "troubles." It gave us perspective and gratitude. 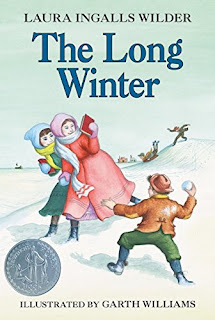 While reading about the cold, harsh winters of the 19th century prairie, we found ourselves complaining less about OUR cold conditions. Instead, we acknowledged with gratefulness all of the many modern conveniences that make winters in the 21st century much more livable...like insulated walls and well-stocked pantries. There were a few tears shed while reading this one. OK...ok...they were from me. But, there's just something heartbreaking about staring down injustice even if it's only within the pages of fiction. This book inspired many soul-searching conversations in our home...we talked of the marginalized...we talked of other cultures...we talked of the hope we have in Christ. 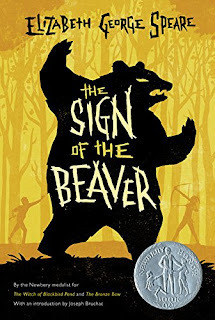 To be honest, this was not one of MY favorites of the year, and my daughter would rank it a bit lower than the TOP 10, BUT my boys really loved the adventurous, me-agaisnt-the-woods theme of this book. What the story lacks in finesse, it certainly makes up for in bravery and boldness. I love it when a book opens your world to an unfamiliar-to-you people group or culture. That enlightening is, of course, the very essence of living literature. 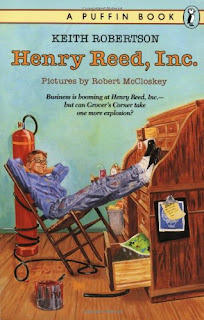 A few years ago, we read Robert McCloskey's classic Homer Price and its sequel, Centerburg Tales and loved them! So, it's not surprising that we would enjoy this McCloskey-esque story about an equally as whimsical and enterprising boy name Henry Reed. I was slightly nervous about how this rather dull-looking book would be received...especially in a home full of rambunctious boys. 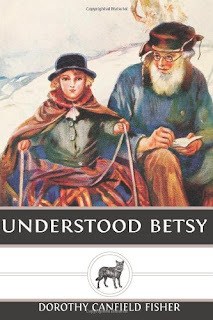 But, the witty banter and understated humor of the story had all my kids clamoring for just one more chapter nearly every day. I'm not a huge fan of the fantasy genre, but this adventurous allegory of the early life of King David had EVEN ME anticipating the next chapter. 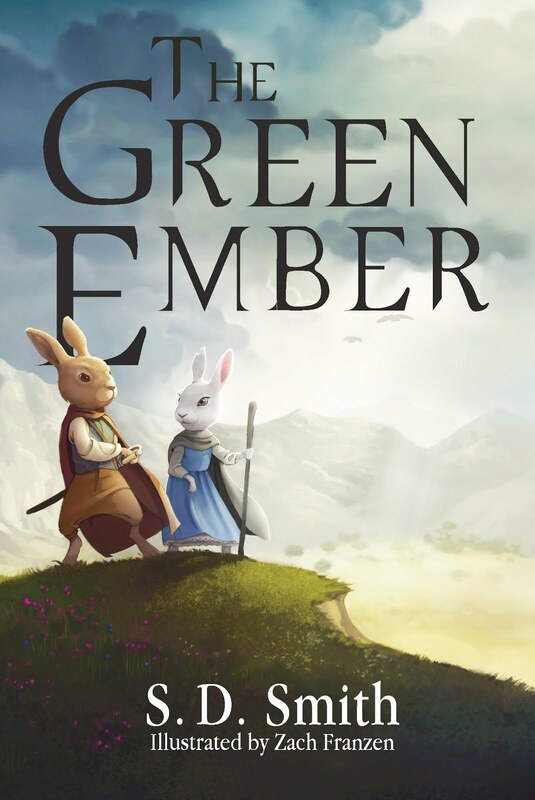 It is the first in a series of three and while we did not go on to read the second and third installments, we plan to revisit the rest of the series SOMEDAY. S.D. Smith has somehow figured out how to write a new book with an old soul. 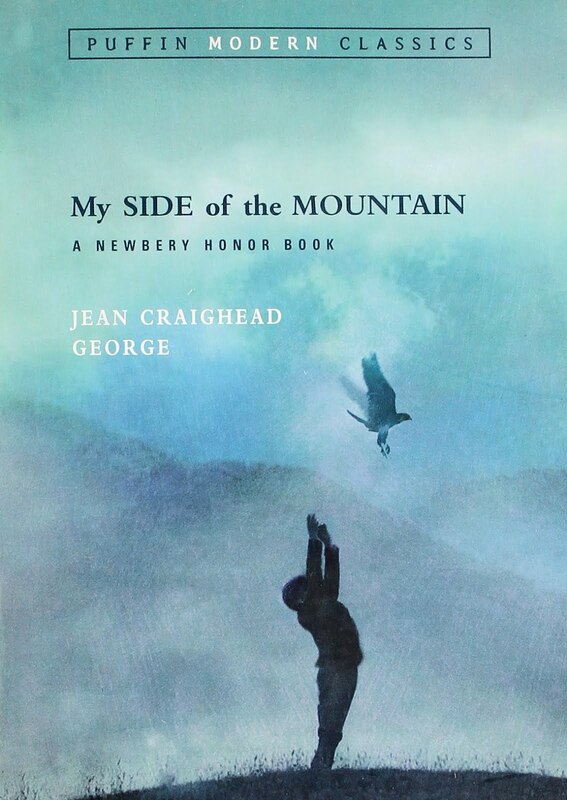 In a fantastical Narnia-esque way, he has woven big bold truth into the kind of innocent and virtuous story that is usually only found in books from yesteryear. My daughter loved this book so much, that as soon as we turned the final page, she immediately read its prequel, The Black Star of Kingston. 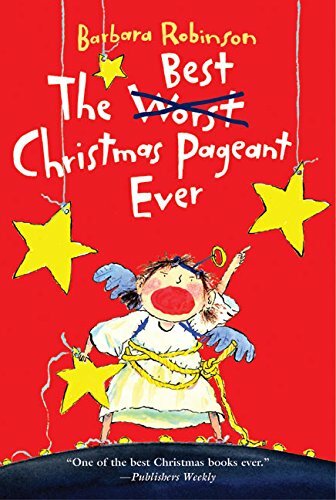 In a completely spontaneous decision, I picked this book up from the library last December hoping to give my kids a quick synopsis of the story before seeing the live stage production together shortly before Christmas. Who knew this "accidental" read aloud would become an instant family favorite?! I'd like to say that there's a lot of literary merit to the story. But, there's not. In fact, the story can be a bit brash and requires a bit of editing (Some of the characters use God's name in vain because they don't know the truth of who God is). So, why did we all love it so much? Well, perhaps after reading several weightier titles for most of the year, we just needed a bit of comic relief. Admittedly, there was a sizable amount of on-the-fly editing that had to be done as I read this out loud. There were a handful of sassy/snarky dialogue portions that had to be tweaked and an entire chapter of boy-meets-girl-crush that was chopped. But, apart from those minor adjustments, this was hands-down the best book we read all year. To be honest, the story line was very simple. It was just a light-hearted retelling of the summer misadventures of four sisters. But it was funny. Oh.so.funny. and had my kids begging for just one more chapter every single day. And now it's your turn. 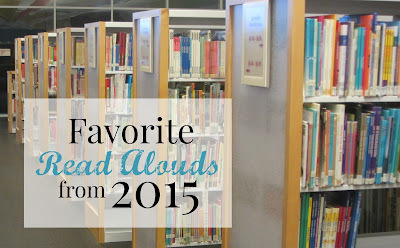 I'm dying to know what your favorite read alouds were in 2015! How old are the children you're reading these books aloud to? Thanks! My children are currently 11 (7th), 10 (4th), 7 (3rd), 6 (k), and 3 years-old. My gang are 9, 8, 5, and 4 years old and we just started homeschooling this year. I incorporated read alouds to out morning break/snack time. Our favorites have been pretty classic: Mr. Popper's Penguins, A Cricket in Time Square, and Little House on the Prairie. Thanks so much for this list--I am noting it all down. So far every piece of advice I have taken from you has been spot on and I'm so grateful! 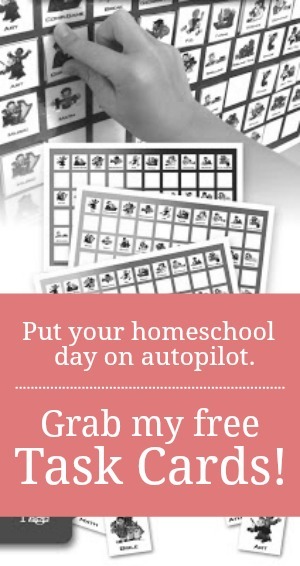 It's mommies like you who take the time to invest in others that have helped a new homeschooling mom like me have such a great first year! Thank you so much for allowing Gid to use you in this way! So glad my little blog has been helpful! It sounds like you've enjoyed some timeless classics. Happy reading! 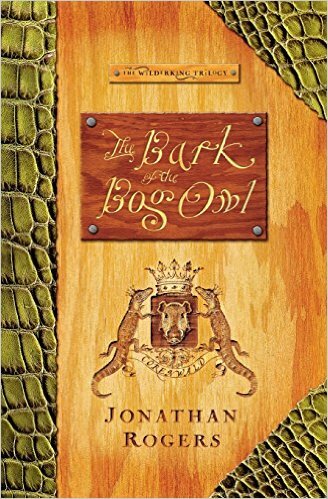 WE read aloud the Jonathan Rogers books a few years ago. Still favorites with my kiddos. The Green Ember made our top read alouds for 2015 as well. Nice list! Lots of good ones. The Penderwicks was one of our top favorites, too, but I think my kids would choose The Best Christmas Pagaent Ever as their very favorite -- I don't think I've ever heard them laugh so loud and so often when I was reading to them! I loved that because I knew they were creating their own pictures in their mind of the scenes I was reading to them. Curious -- Do you keep a list of all the books you've read aloud or planned to read aloud for the year? I'm lazy and haven't searched your blog for it (guess I could read through all the "what we're reading this month" posts and pull it together! ), but I'm interested to know. Do you plan ahead for the whole school year for what you want to read aloud? Thanks!! Yes and no. I keep a list of books I'd like to read SOMEDAY on my GoodReads account. When we finish a book, I just head there first. We take a family vote about which one we'd like to read next. Sometimes, I hear of a title and think to myself, "That one will be next!" I do keep a list of the books that we HAVE read, though, so that I can include the info in our annual portfolios. Great list! Thank you! We're trudging along in Narnia currently, but one of our favorites would have to be Roald Dahl's James and the Giant Peach. Ah, so many great ones! 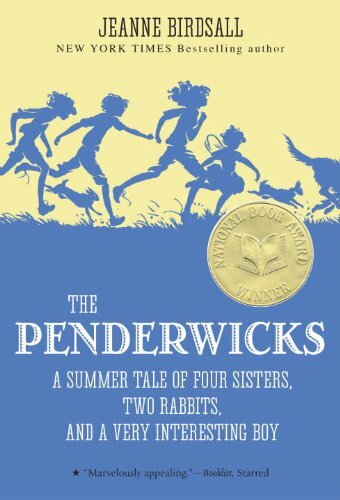 We loved all four of the Penderwick books and look forward to the last one to be released! You have a few on your list we haven't gotten to yet, which is fun to look forward to reading, I will add them to our list. We really loved Number the Stars by Lois Lowry. 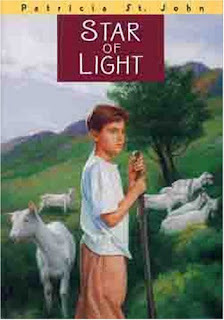 We are finishing of the Sarah, Plain and Tall series which has been really enjoyable. And got carried away finishing the Little House Series for our first time. But Number the Stars was a fun one that I had never heard of before. So, that was a new delight to us. It left me wishing it was a series so that we could delve a little more into WW2.